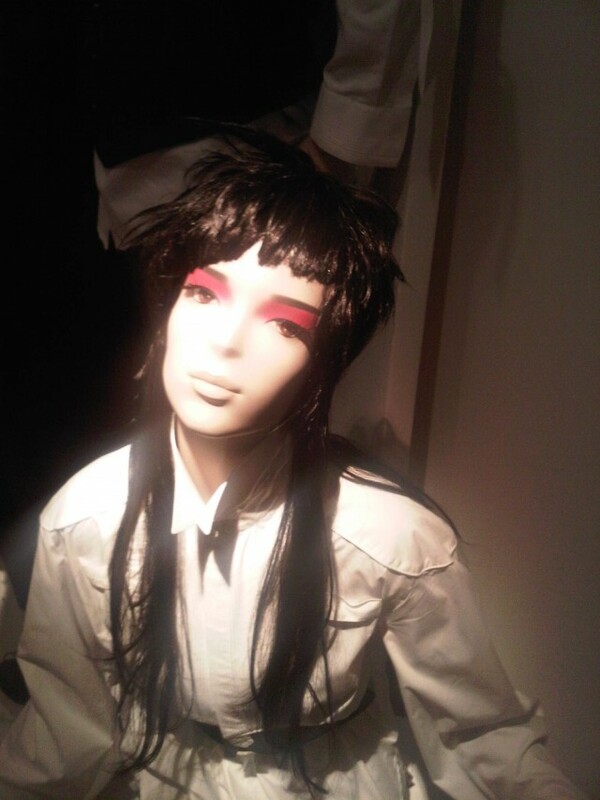 For many, the shop mannequin is the first point of real contact that they have with a design, which they may previously have seen on the runway or in the media, and this experience informs how they may wear the garment. Window displays have been a integral part of the shopping experience ever since the late 1950′s; from enticing the customer into the store, to helping some garments take shape and show the consumer what the garment is to look like on the human form, encouraging the customer to try it on. Because of this, Tanya decided to make a change and hired a colour specialist who was researching how different tones appear under different lights. 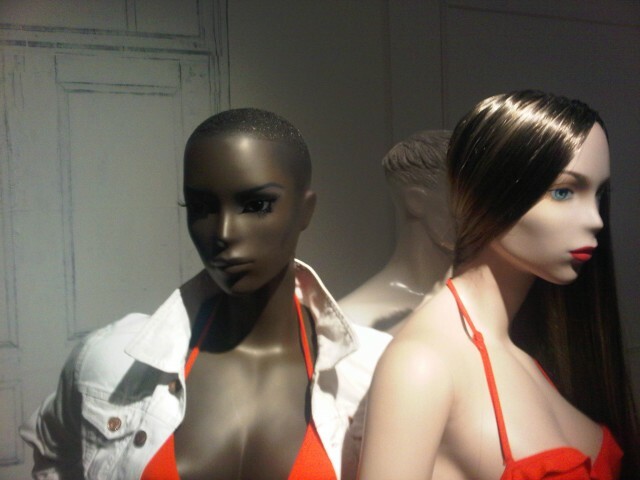 After testing hundreds of different colours they developed about 30 paint shades from very pale to very dark skin tones in order to make their mannequins available in a selection of more realistic and diverse skin tones. Even better, if a customer requests a tone that they do not yet cater for, Proportion London will create one especially, so there are no limits on the skin tones available. From my interview with Tanya, I now have an understanding of what Proportion London is doing in order to create diversity in the fashion industry, not through the live models on the catwalk, but through the mannequins that sell clothes to us in the stores. 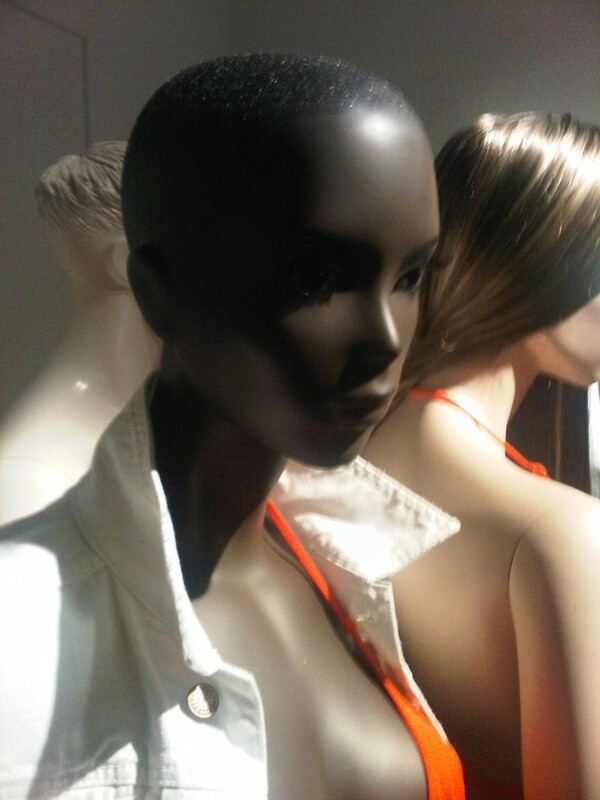 I hope now you too will be able to look at these mannequins and appreciate the true artistry that has gone into creating an ethnically diverse range of looks, through hair and make up, from mannequins that were originally plain and identical. Here at All Walks we are very excited by what Proportion London are doing in order to create diversity, not just through the models who wear the clothes, but the mannequins that sell the clothes in shop windows. 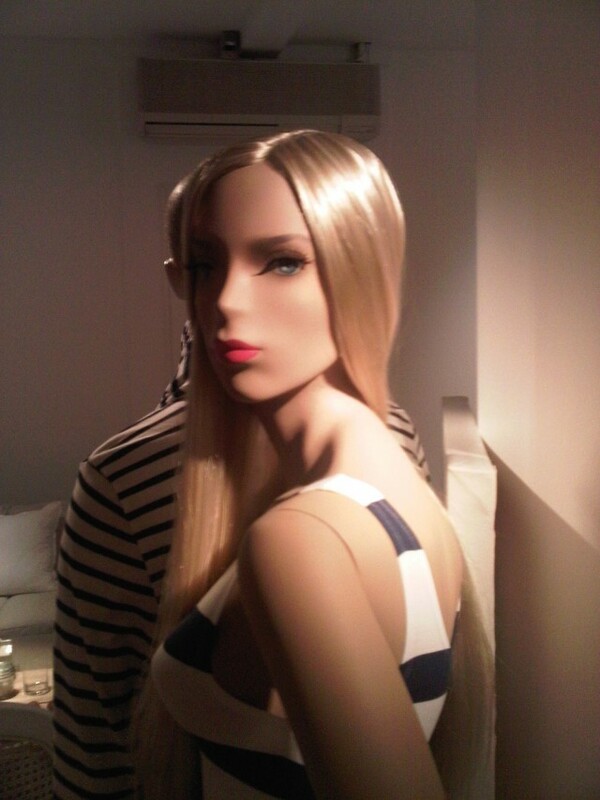 We are now able to appreciate the true art that goes into making mannequins appeal to diverse forms of female beauty, though the hair and make up used. Organisations like Proportion London are shaping the future of diverse beauty in fashion and are certainly breaking the mold in their artistic and creative vision. « SLINK: THE NEW 14+ FASHION GLOSSY	» H&M’s SUMMER MEN!